The music was laid Thorsten – so virtually – in the cradle. The passions of his parents were trumpet, horn and piano. Thorsten’s brothers have discovered besides the piano also the guitar as an instrument for themselves. The fact that music holds young, proves his uncle impressively who is still an active jazz musician in different instruments at the age of nearly 80 years. Thus, it quickly became clear: Even the “little one” should learn an instrument. Thorsten’s first musical steps began – very classic – on the fipple flute. At the age of 6 years he changed to the piano. At the time, he had a pretty young teacher who allowed him to play also works such as “Rock around the clock” or “Djingis Khan” – “that was real hip” (I can only confirm – note Sonja). After 2 years Thorsten chose just such songs for the “entrance examination” with a professor of music a. D., who was quite amazed about it because these pieces were not necessarily corresponded to his style. However, Thorsten was taken up, nevertheless. During this time Thorsten was “allowed” to try at all the great masters (Bach, Beethoven, Mozart, Schubert, “and whoever”). Thorsten had the first contact with synthesizers about 1984, when a very dedicated music educator brought a Roland Juno 60 to the lessons. As he himself says, “the most fascinating what this huge box uttered, was a helicopter similar sound – Wow! Who owns even today something like that may count oneself happy and if at that time I had known what these parts will be worth once, I would have looted certainly my savings book to buy it from him – but that’s another topic … “. In the following summer holidays Thorsten worked 4 weeks with glowing heat on the construction in order to save money for his first electric guitar. Finally it has been enough for a Strat copy and a transistor amplifier. As he himself admits, he had „really no idea of nothing“, because he “just wanted to play rock, best hard rock like Iron Maiden, Saxon or Judas Priest – just British Steel and who is a bit familiar knows – this does not go along with such an amplifier.“ Thorsten further: “The amplifier has never really distorted, but he had a flanger aboard – super for Funk!“ “Fortunately”, as he says today, ended a short time later an accident in the religious lessons (“another story”) in which he broke a finger of the left hand, his guitar career. 1988/89 Thorsten joined a rock band called SIXX as a keyboarder (“yes, like the television channel which appeared 20 years later with our name … no matter”). These were the remnants of a band of Trixie Delgado, who had moved to Masterboy. The musicians were all older, experienced musicians and Thorsten, with his 18 years, the “youngster”. The repertoire of the band included songs by Toto, Journey, Manfred Man’s Earth Band, and many others as well as many of their own songs. Though the big success was not granted to SIXX, nevertheless Thorsten has, as he says with a wink, “truly learned a lot in the period until 1996: How to wire a system, set a mixing console, write songs, produce a demo or just how to get beer from the fridge … “. At least one concert he remembers well even today – at that time SIXX stood as an opener for Fools Garden on stage, shortly before the giant “Lemon Tree” success! It might have remained if a good friend had not offered him to take over his piano lessons, which this friend held at a local music school. So Thorsten ventured 1995 the jump into the deep end and “has not yet regretted it for one day”. In 1999 he founded his own school of music (with integrated studio) where he teaches keyboard, piano, guitar and electric bass. In addition, Thorsten offers seminars for recording practice and technical support for music shops and studios. 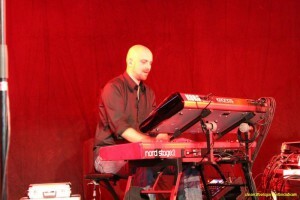 During the next 4 weeks he practiced until his fingers bled and – played the gig! With it his love had awoken to bass playing, which he passionately pursued over the next 12 years. His keyboards were stowed into the studio and in the music school and up to some duo concerts with vocal and piano, he was actually only to be found on stage with the bass . By 2009, Thorsten was on tour as a bass player with various bands, mainly with an unplugged band called B-Side, who arranged known and lesser-known pop and rock songs with accordion, acoustic guitar, bass and small percussion. After the dissolution of the band B-Side the wish arose with most persons concerned to do something with a little bit more “speed”. However, as the guitarist wanted to quit, Thorsten got slung unceremoniously the electric guitar. Thus came true for him in 2009, nevertheless, a childhood dream and he began to learn a new instrument again, at the age of nearly 40 years – “keyword: challenge”. “Okay,” Thorsten continued, “this time I bought the right amplifier, have really practiced like goofy” and thus he is now on stage, since 2010, with the 70s Glitter and Disco Band Yvolution, as a guitarist. On piano and singing Thorsten can be experienced since 2012 by those who are interested in Lesing, a handicrafts group, where reading and music meet equally. 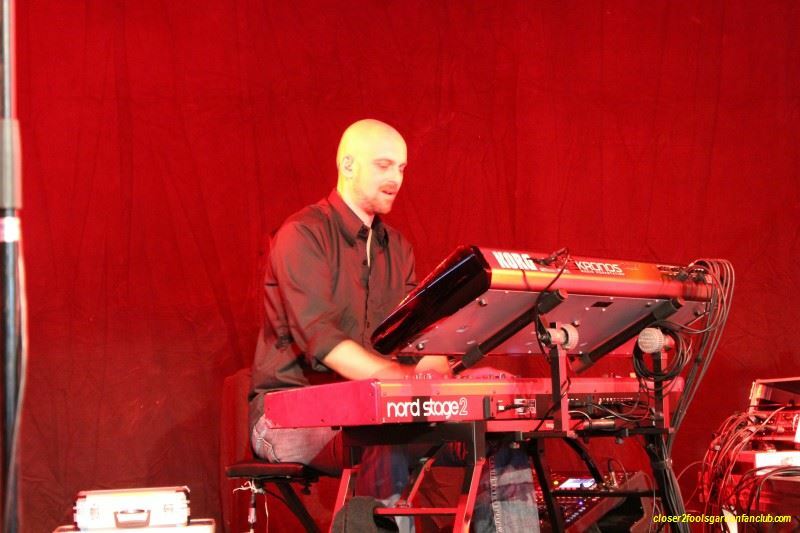 “Home” is, however, at the same time not only a beautiful song by Fools Garden but also provides the keyword for what Thorsten and Fools Garden connects since the beginning of 2015: The keyboard came back to the band and with it came Thorsten Kiefer. And therefore also at this point: welcome “Home”, Thorsten!